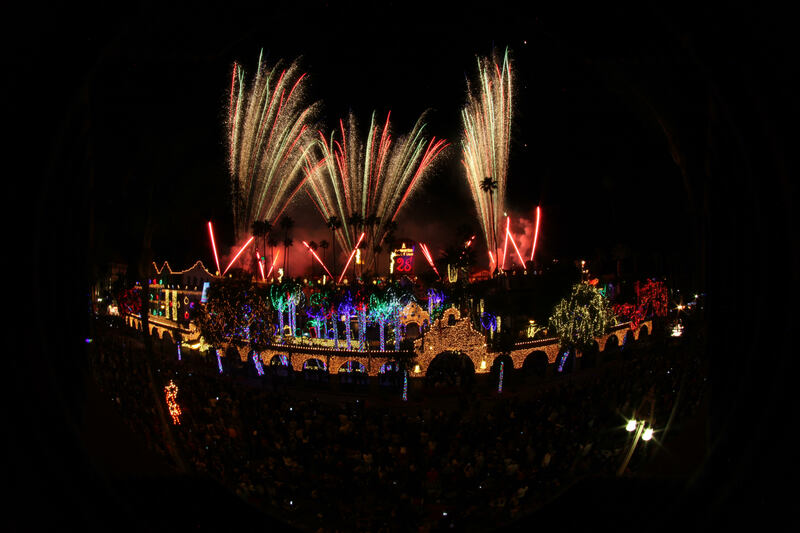 The Mission Inn’s Festival of Lights returned to Riverside on Friday. The switch-on ceremony for the 25th annual event included a fireworks show, a military flyover and live entertainment. The Mission Inn illuminated with 5 million lights, 200 animated characters, fresh fallen snow and a candy themed décor. The Festival of Lights also featured carolers, appearances by Santa Claus, the world’s largest man-made mistletoe, horse-drawn carriage rides, elaborately decorated Christmas trees and more, according to the Mission Inn website. The holiday spectacular lasts through Jan. 6 in downtown Riverside. It’s estimated that half a million people will go to Riverside to see the spectacle. Cindy Wilson lives in Murrieta and is proud to have the Festival of Lights in her county. “We moved here when the Mission Inn was boarded up years ago, and it was bad, but it’s gorgeous now, and it’s fun to have,” she said. With more than 100 police officers, metal barricades to help with the crowd flow and other barricades to prevent vehicle traffic, the area is also quite secure for spectators. For more information, visit www.missioninn.com. 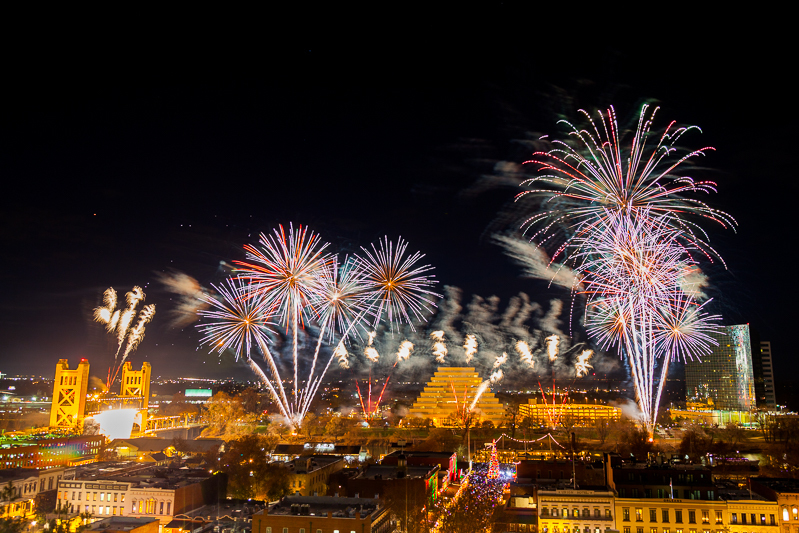 Previous PostPyro Spectaculars dazzles this holiday season at the Riverside Festival of Lights!